Description: Kansas City, Mexico and Orient Shops, located at Orient and Vine. Keywords: Transportation, trains, business and industry. 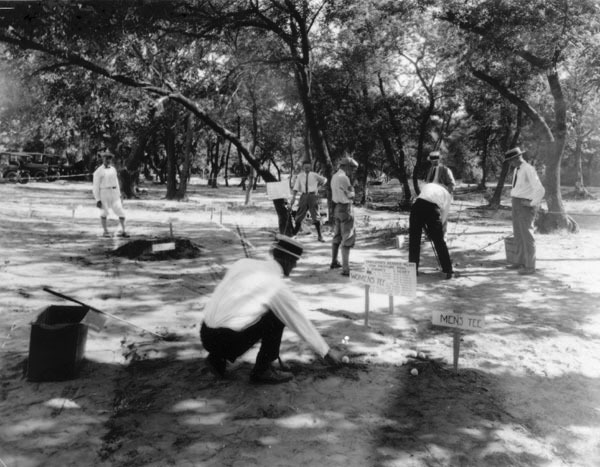 Description: Seven men playing golf on a miniature-sized course laid out among the trees. Various features of the course have signs to indicate “Men’s Tee,” “Women’s Tee,” etc. Location unknown, sandy ground may indicate a river bank. Keywords: Business and industry, people, public events, sports and recreation, transportation, automobiles, fashion, Wichita. Description: View looking south at billboards on southwest corner of Douglas Avenue and Ellis Street. Created by Western Sign Works Company, the billboards advertise Holmes Clothing Company, Peerless Dairy, Steel Hardware Company, and Wheeler-Kelly & Hagny Insurance. Keywords: Wichita, business and industry, street scenes, advertisements. 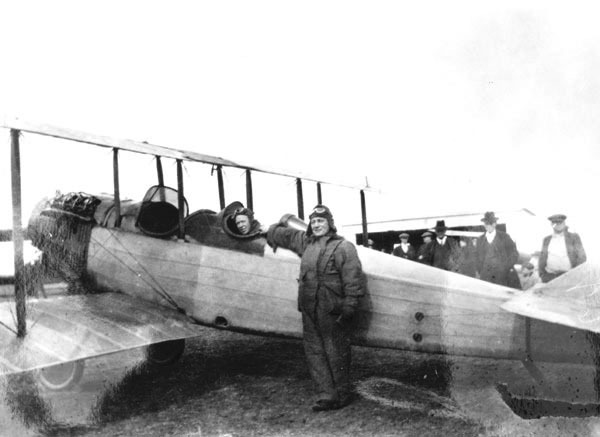 Description: Mattie Laird in the cockpit of a Laird Swallow. Description: This was the second building located at 101 West Douglas and it was known as the Stanley Building. The National Bank of Commerce, housed in this building, was established in 1899. 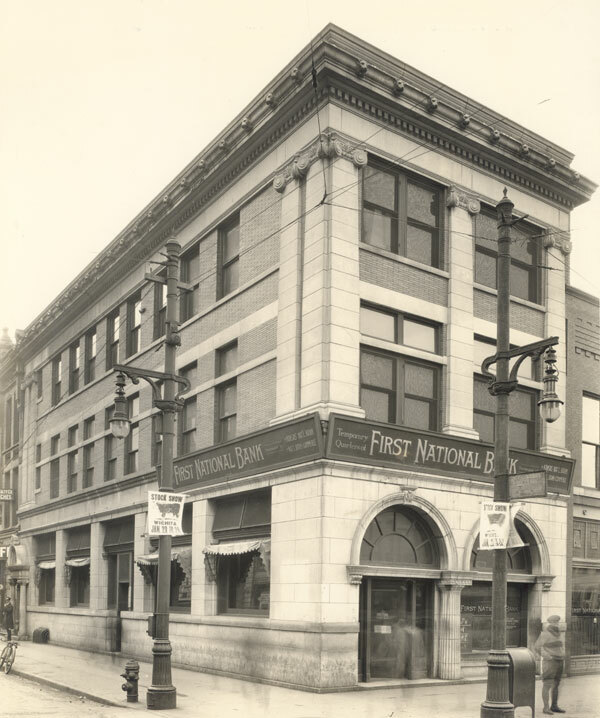 In February 1920, they consolidated with the Kansas National Bank, located across the street, to form the First National Bank. This building was then used as the temporary quarters of the First National Bank. 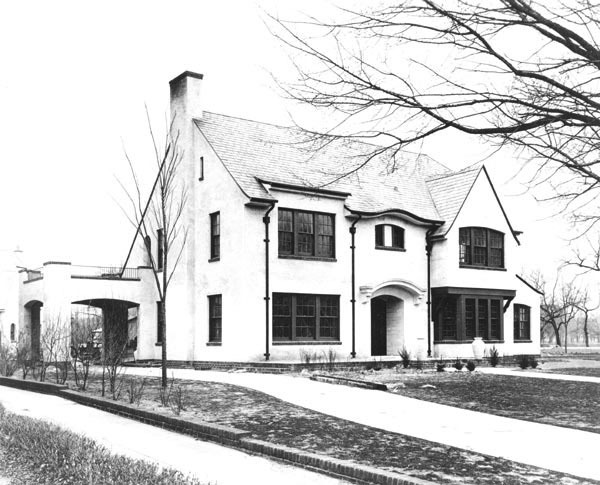 The bank moved to their new quarters across Douglas Avenue in March 1922. This building was razed in 1928 to make way for a six-story office building called the Central Building. 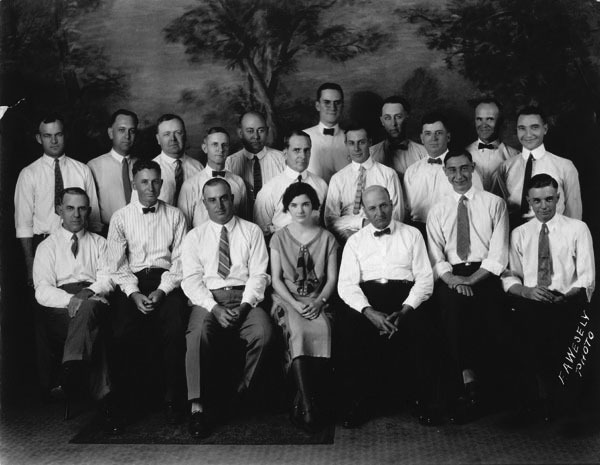 Description: Group portrait of men who represented printing companies in Wichita. 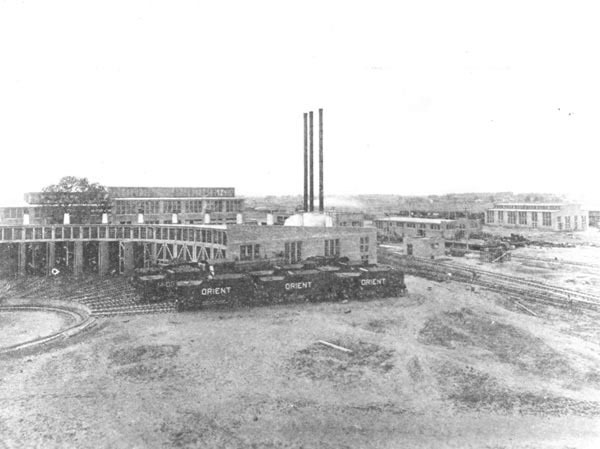 All are identified and their companies included the Wichita Eagle, Wichita Beacon, Mid-Continent Engraving, Love Corrugated Box Company, Grit Printing Company, Horner Print Company, Mid-West Bindery, Western Lithograph, Ballard Engraving Company, Advance Printing company, and Franklin Printing. The young woman is identified as the Executive Secretary of the Printing Industry of Wichita, offices at 408 York Rite Masonic Temple Building. 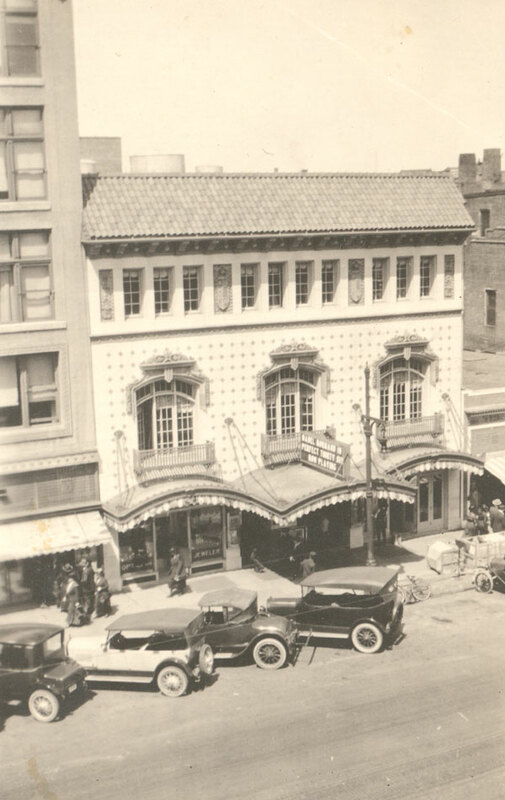 Description: Exterior of Kansas Theatre at 221 East Douglas Avenue. 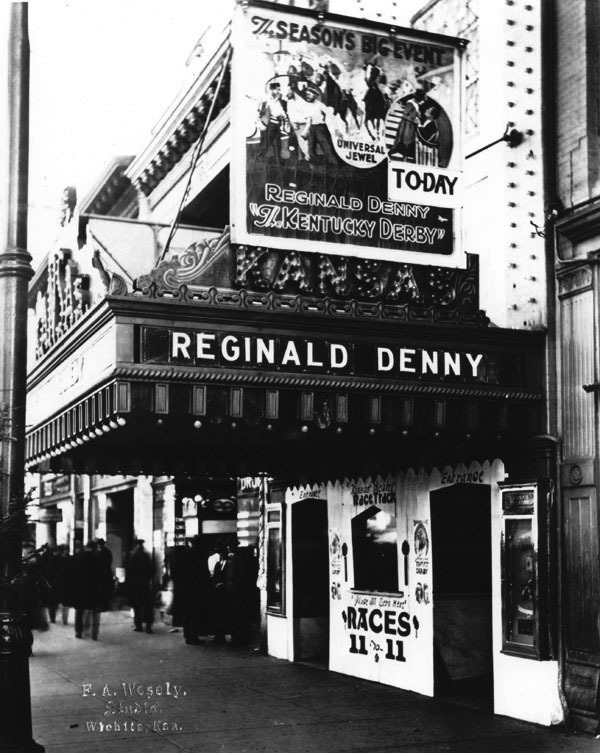 The entrance to the theater replicates the ticket booth to a horse-racing track to advertise the feature film “Kentucky Derby.” Signs proclaim “Races 11 to 11” and “Place All Bets Here.” The black and white silent film opened in 1922. Keywords: Entertainment, business and industry, Wichita. 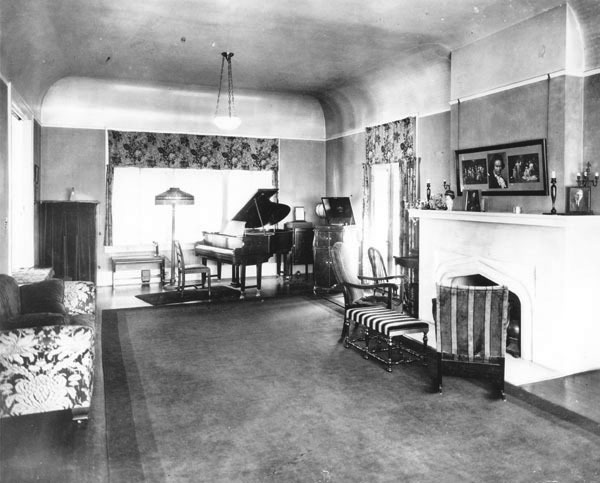 Description: Interior of Will Price Residence, located at 1040 Riverside Avenue. Price was President and Manager of Price Auto Service. Description: Will Price Residence, 1040 Riverside Avenue. Price was President and Manager of Price Auto Service.